School Closures and Community Renewal: Where Do ‘Old School’Review Processes Fall Short ? The annual February and March ‘School Closure Madness’ is upon us generating considerable heat amid the winter deep freeze. School closures are dominating the local educational world in many rural and inner city school communities beset by declining student enrollments. 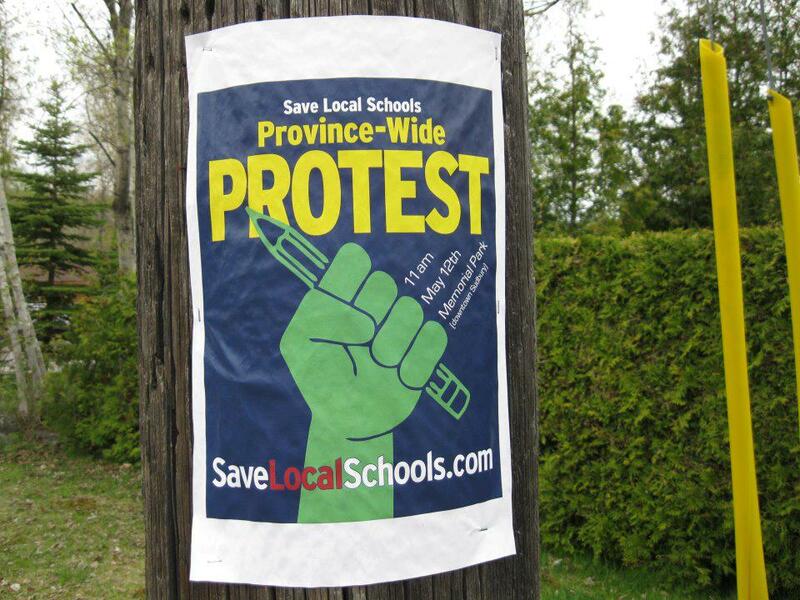 Whether it’s rural southern and central Ontario, the suburban GTA Region, or the villages of Prince Edward Island, parents, families and community members are fully engaged in popular movements resisting further centralization and consolidation or standing up for threatened towns, villages and neighbourhoods. A group representing concerned citizens from across Ontario, the Ontario Alliance Against School Closures (OAASC), is now calling on the Ministry of Education to immediately halt school closures and scrap the current wave of school consolidation. .In its October 2016 open letter to Education Minister Mitzie Hunter, the OAASC claimed that a recently revised PARG (Pupil Accommodation Review Guideline) is flawed and must be rewritten and proposed that 1) ARC reviews be immediately suspended until a democratic guideline is in place; 2) the Government of Ontario immediately put a moratorium on school closures; and 3) the Government commission a study to determine the effects of extensive school closures on the health of affected children and their communities. Five schools on Prince Edward Island are now under review for closure. Since the adoption of the revised P.E.I. School Change policy in September 2016, school boards are gone and school closures have continued under a new set of legalistic rules that formalize a process pitting the Public Schools Branch against the communities they attempt to serve. All 56 schools on the Island have been reviewed and the consolidation plan proposes to rezone or close the schools affecting 2,500 students, 700 of whom are rural children and teens. A coalition to Save Island Schools has emerged and prominent Islanders like former Liberal Cabinet member Alan Buchanan are now calling for a complete review of the grueling, divisive process and proposing constructive alternatives. Two schools on Eastern PEI, Belfast Consolidated School and Georgetown Elementary School, have responded by calling for a pause in the closure process so they can embark on a school-centred community revitalization initiative. Two of Ontario’s leading authorities, Bill Irwin of Huron University College and Mark Seasons at the Waterloo University School of Planning, are challenging the basic financial efficiency assumptions behind school closures and essentially overlooking the social and educational costs. Since 2012, Irwin and Seasons have been aggregating research in support of small schools and urging school authorities to embrace best practices in community planning and public engagement. Much like my own book, Vanishing Schools, Threatened Communities (2011), their work demonstrates the serious and lasting impacts of closures, including the depletion of local financial, social and human capital. Provincial education ministers have the authority to declare a Moratorium on the School Review process, an option exercised in April 2013 by then N.S. Education Minister Ramona Jennex. The pretext then was to secure sufficient time to assess the fairness of the former process and to consider the merits of a new alternative – community hub schools. A Schools at the Centre community development strategy would be far superior to the “old school” model of school consolidation. . It’s time for Education Ministers and their Departments to take the lead in shifting the terms of engagement from “threatened closures” to community-based, school-centred, rural economic and social development. The Georgetown Conferences on Rural Renewal (October 2013 and June 2016) generated high expectations. Hundreds of delegates embraced the idea that you can have viable small rural schools run on an economically efficient basis and tapping into the potential of local social innovation and digitally networked local schools. Stopping the consolidation express train in PEI and elsewhere in rural Canada would allow the time to develop a comprehensive Rural Economic Development Strategy instead of simply closing schools and abandoning more rural communities. Transforming small schools into viable, lively community hubs and incubators for social enterprise is the way of the near future. Some small, under-enrolled schools will continue to close, but let’s hope it’s the right ones. Time will tell whether the “Old School” model of school consolidation is superceded by a new approach focusing on school-centred community revitalization. What’s driving the relentless movement to consolidate small schools and regionalize K-12 education services? Do claims of economic efficiency or economies of scale hold any water, when all costs are considered over a five year time horizon? What’s standing in the way of community-wide planning and the re-purposing of community hub schools? Who will be the first community to succeed in creating a fully evolved, viable and sustainable community hub school? Walkable Schools: Will the Movement Afoot Curb the School Closure Mania? Walking or biking to school is making a little comeback in one traffic clogged neighbourhood in North Vancouver. On a sleepy Friday morning in late April a steady parade of kids and parents, accompanied by the mayor and local councillor, on foot and on bike, streamed down the boulevard sidewalks on their way to Canyon Heights Elementary School. The festive “Freedom Friday” public event has become a hit with families and has helped to spike the numbers of kids walking or biking to school. Parent groups like the North Vancouver North Shore Safe Routes Advocates have been front and centre in a “movement afoot” in North American cities and towns to reclaim school communities from the “me-first car culture.” Community wellness and active transportation advocacy groups are springing-up, mostly in cities, in places as diverse as Hamilton, Ontario, and Halifax, Nova Scotia. The proportion of people who use active transportation – getting around without the use of a car – has been on a steady decline for decades and it’s particularly evident in and around local schools. ParticipAction’s 2015 report card on children’s physical activity gave Canada’s kids a D-minus for the third consecutive year. Fifty-eight per cent of today’s parents walked to school when they were kids. Only 28 per cent of their kids walk today. A 2011 report by Metrolinx surveyed parents in the Greater Toronto and Hamilton Area (GTHA). It showed that 53 per cent of children walked to school in 1985 and 15 per cent were driven. As of 2011, 36 per cent of children walk to school and 32 per cent are driven in cars. In Hamilton, 29 per cent of parents now drive their kids to school and 21 per cent drive them home. Eight per cent of those students live less than two kilometres from school. Another 35 per cent of students take a school bus in the morning and 37 per cent take it on the way back. Thirty-one per cent walk to school and 36 per cent walk home. Local health authorities and active transportation groups are attempting to turn back the tide. Metrolinx’s Big Move project aims to have 60 per cent of children walk or cycle to school by 2031. The Hamilton-Wentworth District School Board, under fire for recent school closures, endorsed a 2015 Active and Sustainable School Transportation (ASST) Charter and now works in partnership with the city and its sister Catholic board. School boards and education ministries have been instrumental in contributing to the decline in walkable schools. School closures lead to regional consolidation, moving kids further and further away from their designated school. Establishing speciality academies, French Immersion, and international baccalaureate schools have also contributed to the withering and disappearance of neighbourhood schools. An even more important factor in the decline of kids on foot has been the nagging but totally unfounded perception that it’s not safe for kids to walk. “Something happened along the way where ‘stranger danger’ took over,” says Carol Sartor, a Vancouver safe route advocate and school travel planner. The reality is quite different: The RCMP estimate the odds of a child being abducted by a stranger are about one in 14 million. The EAC initiative had been provincially funded for 12 years and its funding had grown from $50,000 to $105,000 per year in the previous three years. Under a Nova Scotia Health and Wellness strategy, known as THRIVE, the EAC programs had spread to 24 urban and rural schools reaching and over 2,000 students. In addition to helping kids become more active, the programs were also designed to encourage pedestrian and biking safety. Student transportation often emerges as a bone of contention in the school review for closure process. When the Hamilton-Wentworth school board was considering the closure of 11 more of its schools in May 2014, City Council weighed in, endorsing the safe school routes charter in an attempt to stave-off or delay the proposed closures. Safe transportation, walking and bus distances became a critical factor, activating a joint city-board committee that had been moribund for years. School closures definitely compound the problem of declining walkability for school children and teens. In the case of the 2014 Hamilton school closure controversy, Dr. Bill Irwin, a professor in economics and business at Huron University College in London, presented his findings on the impact of closures. The walkable school movement faces an uphill battle against school consolidation and a car-driven culture. What’s standing in the way of implementing school-wide active transportation programs? How can school boards professing support for active student transportation justify closing schools and forcing more families to either bus or drive kids over longer and longer distances? Will it take “traffic gridlock” around schools to produce a change in school siting and planning policies? Education’s “Iron Cage”: Why is the School System So Resistant to Community Development Initiatives? The original German term was stahlhartes Gehäuse and it morphed into”iron cage,” in 1930 with the appearance of Talcott Parson’s translation of Weber’s classic, The Protestant Ethic and the Spirit of Capitalism. More recently, sociologists have interpreted the term a little differently as meaning “shell as hard as steel.” Whatever the precise meaning, its utility in assessing school systems will be readily apparent to anyone attempting to affect change or to promote community-driven initiatives in the modern and post-modern bureaucratic education state. In their Summer 2010 Special issue of Our Schools/Our Selves, they see the demand for Community Schools as a manifestation of popular, progressive impulses provided that they “stay true” to their essential democratic principles. True community schools, operating as genuine two-way community hubs, they argue, can advance “really useful” learning and community development. Three Nova Scotia school communities spent the past two years developing Hub School proposals and recently suffered a calamitous fate. All three innovative community school development projects were crushed like a bug on June 10 at the Chignecto-Central Regional School Board meeting in Truro, effectively abandoning three more small villages, Maitland, River John and Wentworth. Confronted with a senior staff report recommending “rejection,” the sixteen elected school board members made their fateful choice – management priorities driven by strict bureaucratic rules trumped community interests, once again. Properly serving children, families and communities does not figure in such calculations. While the new School Review process, adopted in June 2014, is designed to be broader and more community-based, the provincial Hub regulations, written entirely by educrats, conspire against such local innovations. It is, regrettably, just the latest example of the workings and inner dynamics of what is known as the “iron cage” of education. 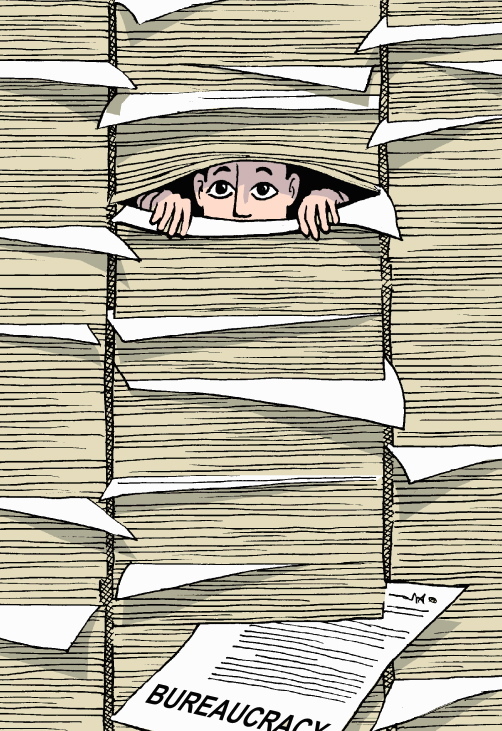 Of all the public bureaucratic systems, education is perhaps the most puzzling. Provincial authorities and school boards all purport to put “children first,” but do not really operate that way. Advocating actively for your children, fighting for your child’s school or questioning board student services policies is considered being ‘disruptive’ or, even worse, ‘overly emotional.’ Big stakes negotiations with teachers over salaries, class composition, and instructional days are, we are told, also none of our business. Eighteen months ago, Robert Fowler’s February 2014 Nova Scotia School Review report exposed the”iron cage” and attempted to change the whole dynamic by recommending a community-based school planning and development process. If Fowler’s strategic approach had been followed in Truro, one or two of the Hub School proposals would have secured a green light and gone some distance towards winning back damaged public trust in those communities. Myopic educational thinking is next-to-impossible to stamp out. Closing schools, the Chignecto-Central administration now claims, saves money and preserves teaching jobs. School librarians, we are assured, will survive because schools and villages are abandoned in Maitland, River John and Wentworth. That’s a complete fabrication designed only to counter the political fallout. North American research shows that consolidations rarely save any taxpayer’s money in the long run. The three Hub School groups, in their submissions, not only pointed out the limited immediate savings achieved through those closures, but provided sound and viable plans with some modest revenue generating potential. Studying how educational bureaucracies function provides a window on what happens and why in the world of state education. Disrupting the status quo would mean confronting these deeply concealed educational realities and busting down the bureaucratic silos – for the sake of children, families and communities. 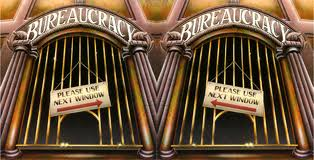 Does Max Weber’s conception of the “iron cage” still have utility in explaining the impulses and dynamics of educational bureaucracies? Why do true community school initiatives encounter such resistance at all levels of many school systems? What can be learned from the fate of local Community Hub School projects championed by the Nova Scotia Small Schools Initiative? What might work in breaking down the silos and opening the door to more local projects of genuine social enterprise and educational innovation?